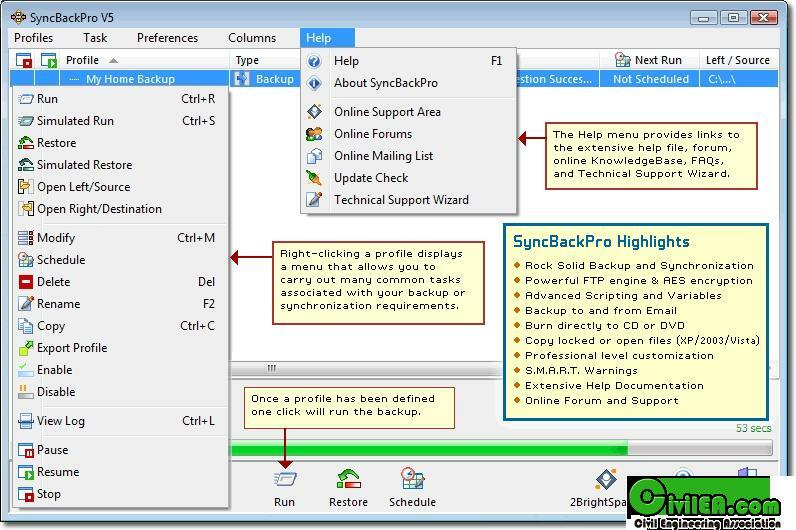 SyncBackPro delivers the backup and synchronization solution professionals require. With complete and customized control of how and when you want to perform your backups, coupled with a feature list second to none, SyncBackPro is your tool of choice. * Backup To or Restore From an Email Server. * Processes an Unlimited Number of Files. * Automatic Drive Failure Detection.